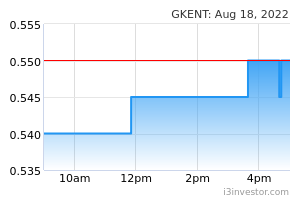 GKENT closed 9 sen or 8.1% higher to RM1.20 last Friday. Last Friday's move saw the price closed higher with a bullish long white candle on the back of higher trading volume which is almost 4-fold to its 20-day average volume. From here, we expect buying momentum to continue driven by improving sentiment on construction sector due to potential ECRL revival. • Resistance levels are found at RM1.23 (R1) and further to RM1.41 (R2). 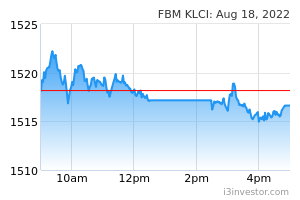 Likewise, support levels are expected at RM1.05 (S1) and RM1.02 (S2).